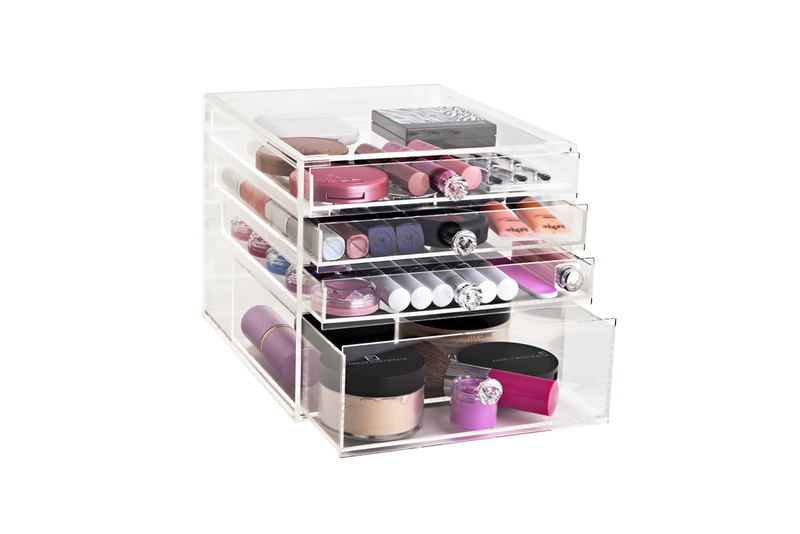 This compact Clear Acrylic Makeup Organiser is great for the person who likes to be organised. Features the popular diamond look handles for that touch of glamour! 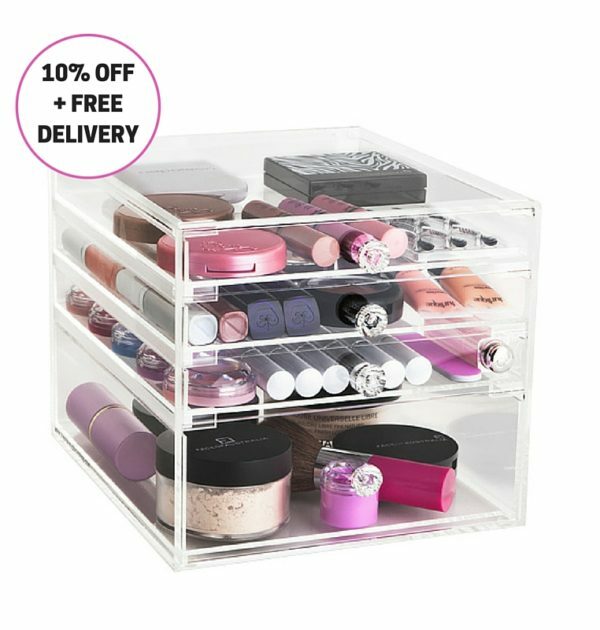 Still don’t have enough makeup to fill the 4 drawers? Then why not use a drawer or two to lay out your jewellery pieces? 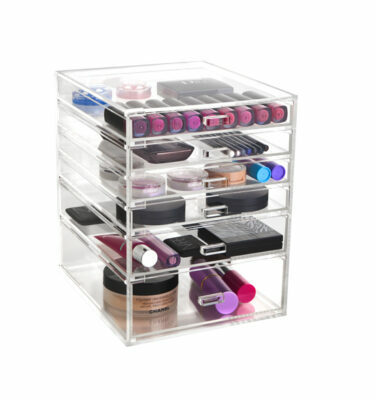 Why not add one of our acrylic trays on top of this unit to store all of your lotions and perfumes? 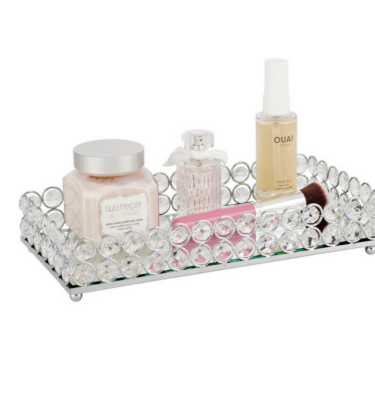 Pictured with our Deluxe Tray in image 3 or our Makeup Tray im image 4. Still don’t have enough makeup to fill the 4 drawers? Then why not use a drawer or two to lay out your jewellery pieces? The top three drawers are 3 cm deep and the bottom large drawer is 7 cm deep. 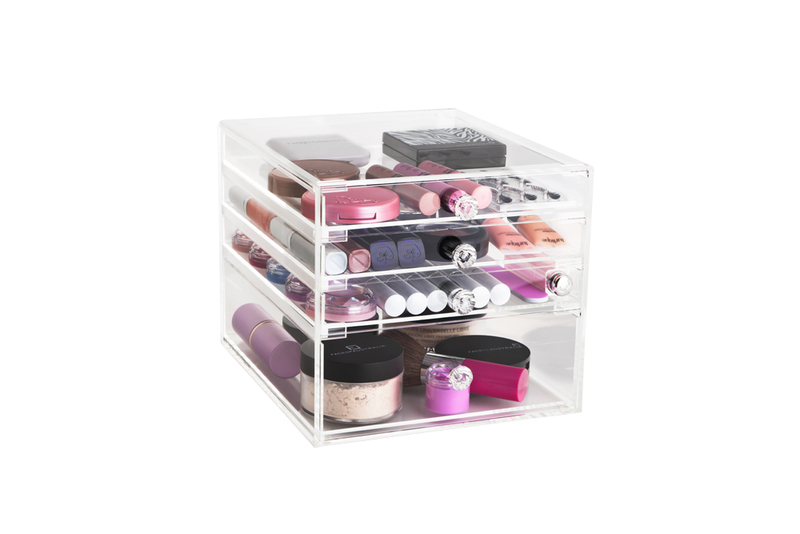 Why not add one of our acrylic trays on top of this unit to store all of your lotions and perfumes? 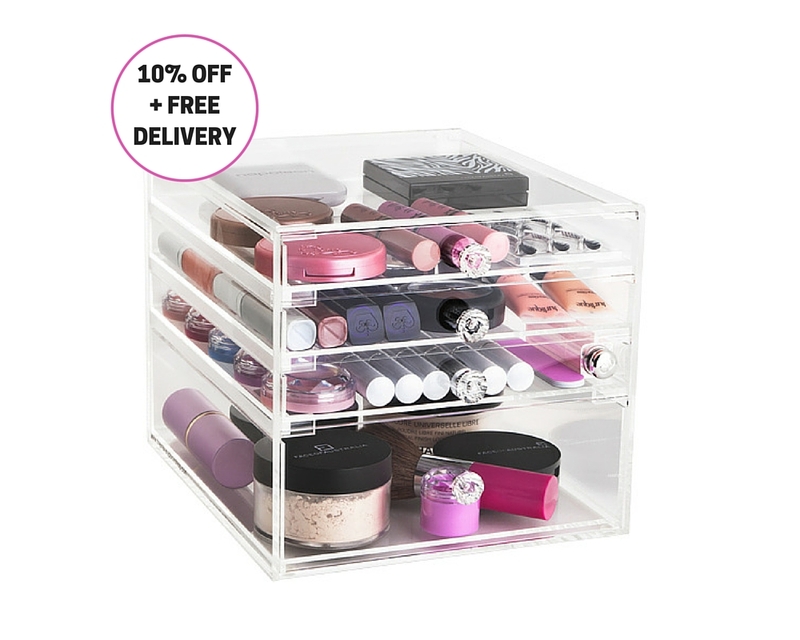 Exceptionally priced at $105 including free delivery to anywhere in Australia this Clear Acrylic Makeup Organizer represents great value. Need a little more space than these 4 drawers? Why not add our Mini Glamour Box? 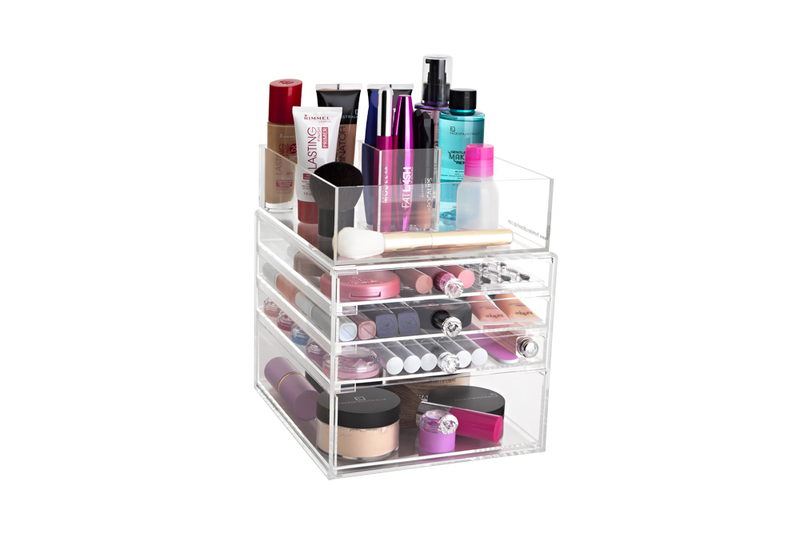 Stack a Mini Makeup Box on top of this unit, they are the perfect combination! I’d had enough of digging through my makeup bag and decide on this Petite Makeup Box, and I am so glad I did! It is the perfect size for me. I love how it looks on my bathroom bench and it is so easy to keep everything neat and tidy. I find I am putting my things back once I use them instead of leaving them on the bench.